You might know Maharaja Agrasen a legendary Indian King known for his solicitude in refusing to slaughter animals in yajnas and this university was established under his act. At the university throughout your journey you will have access to various tools, resources, opportunities and career support to strengthen your employability. They provide diversity of spaces that create an environment which get students into test concepts, creativity and to develop professional skills. The faculties and the board members help you build your own capability, potential and responsibility to which you can transfer network, skills and get prepared for changing world. The support you get is nurturing, as they provide guidance and educate you from the scratch with wide opportunities regardless of any background. The institute offers 100% placement for all the eligible candidates. They train and guide students to be confident and intellectual to attend and clear any interviews. 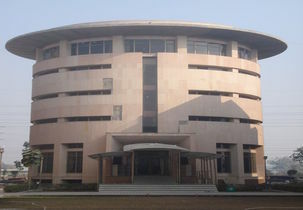 The companies those often visit the campus include IBM, INFOSYS, COGNIZANT, EY, ACCENTURE, SAP, MICROSOFT and list goes on. The student must have been appeared for Entrance exams to apply for any course either under graduate or masters. The cut-offs are based on the ranks the students obtain and will be different that depends on category, ranks secured in the exam. Before applying for any course students must be aware of cut-offs and the eligibility criteria. IPU-CET exam score for the courses. There are cut-offs for these marks obtained. There are numerous programs offered like undergraduate, post graduate and diploma programs. Under which there are various streams and research specialisations. The course fee differs for each and every program under the course also the duration for UG courses is 4years and Master Programs it will be 2 years. Pass in 12th or equivalent course with min of 55% in compulsory subjects like physics, chemistry and mathematics. Fully secured facility which includes CCTV cameras and also safety measures there for the students, Water heater, water cooler, fire extinguisher and common washing area is provided. 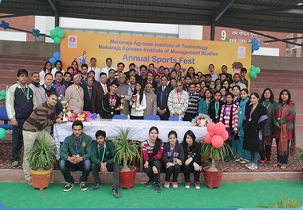 Its Best private university for study and best placement opportunity for student and friendly campus and organised international and national conformance for welfare of student. University have good and well equipped labs & library. Ragging free campus and even university are having good transport facilities and good environment for study and i am the student of this college and i am satisfied with the college according to infrastructure and education. 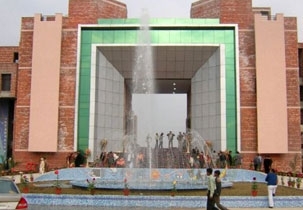 Hi friends..my name is Shivam and i wants to suggest you to join this university because this is the best University with well educated faculties and cooperative staff well managed very peaceful place friendly atmosphere teachers are very polite everybody is helpful over there if you go directly to the higher Officials they do not mind it try to solve your problems. 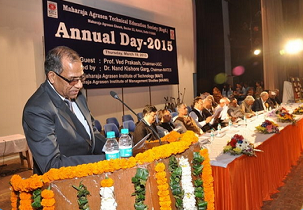 Are you Interested in " Maharaja Agrasen University"? Please provide the following details.